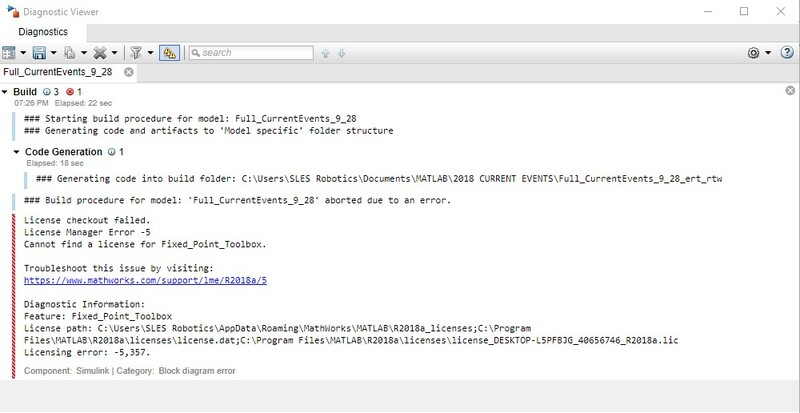 We are suddenly having issues with the R2018b version of MATLAB. It is telling us that our activation key is not valid. Is anyone else having this issue? We are also having an issue with the vex arm cortex Library - it seems to be missing the 8 down button? Help is appreciated. With regards to the license checkout error. This occurs when you perform a math operation such as a multiplication to a signal of data type boolean. 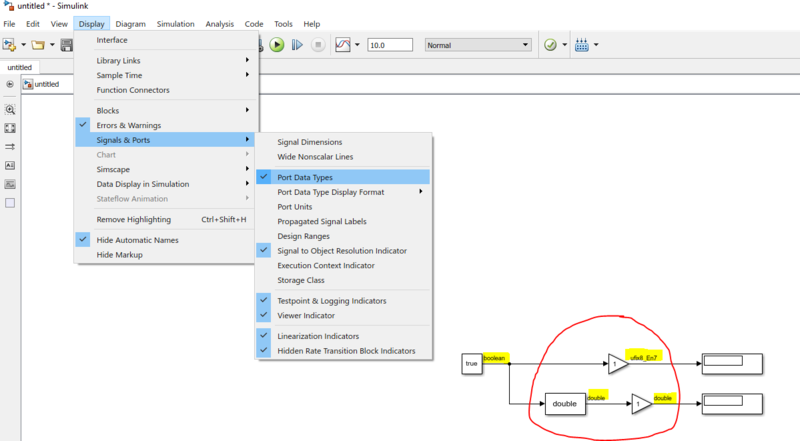 An easy way to check if Simulink is propagating signals that can cause this error is by showing the port data types (Display > Signals & Ports > Port Data Types), and checking for any data type that has "fix". To solve the issue simply use a "Data Type Conversion" block to convert the boolean signal to something like a Double before connecting any other blocks. See the image below.